There’s plenty of comfortable seating at Rebecca’s. The South Park grand dame of coffee is Rebecca. Her coffee shop, simply called Rebecca’s Coffee House, has been waking up South Park since 1993. Not only does she have great coffee roasted by Café Moto, but she’s famous for her scones. You must have one with your coffee! Even her day old scones are worth it, but I’ve tried (and fell in love with) her banana/peanut butter muffins. There was a cold afternoon when her homemade soup did the trick, too…followed by coffee, of course. She also has kombucha on tap, for fans of this fermented beverage. But back to the coffee…Cafe Moto is one of my favorite local roasters, so any of her coffee choices will be good, just make sure you have a scone, too. People don’t come here just for food & drink…Rebecca’s is a great place to meet friends at her large tables or sit alone in her comfy stuffed chairs or sit along Juniper to watch South Park roll by. Nights you’ll often find music, story telling, or poetry reading being done on the stage. There’s also a baby grand piano if you have that talent (although it’s not well tuned). While night owls will like her late hours, early birds, like me, appreciate her opening hour of 6:00am. 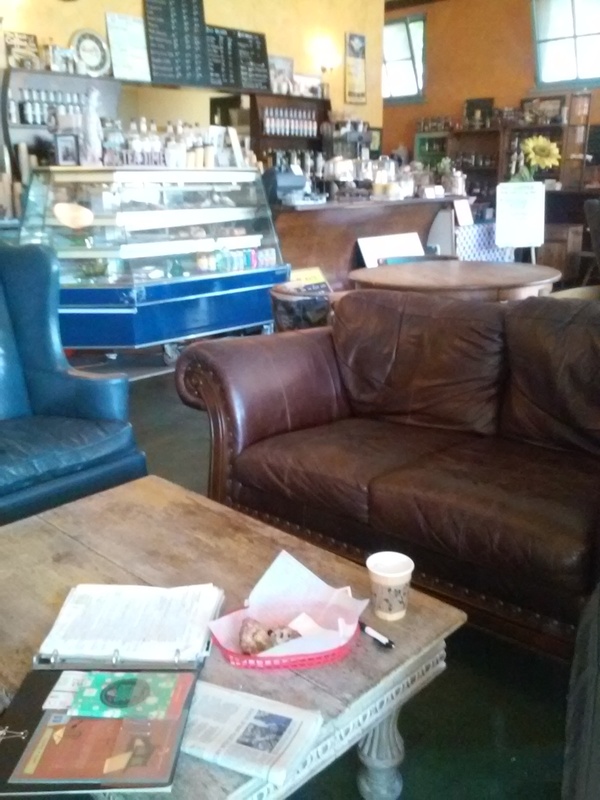 Rebecca’s Coffee House fits so many needs that it’s almost like a community center. But don’t bring your credit card as it’s cash or check only. Art work and coffee bags adorns the walls. South Park is a neighborhood worth exploring. Wander side streets to enjoy the timeless Craftsman style homes or shop in one-of-a-kind shops like Bad Madge, Graffiti Beach or Mythology around the corner in both directions. Come back for their quarterly Walkabouts, when the shops are open late and the streets are teaming with people and music. Walkabouts are select Saturday nights from 6:00-10:00pm in March, July, Oct., and Dec. (see http://www.southparkscene.com for exact dates). 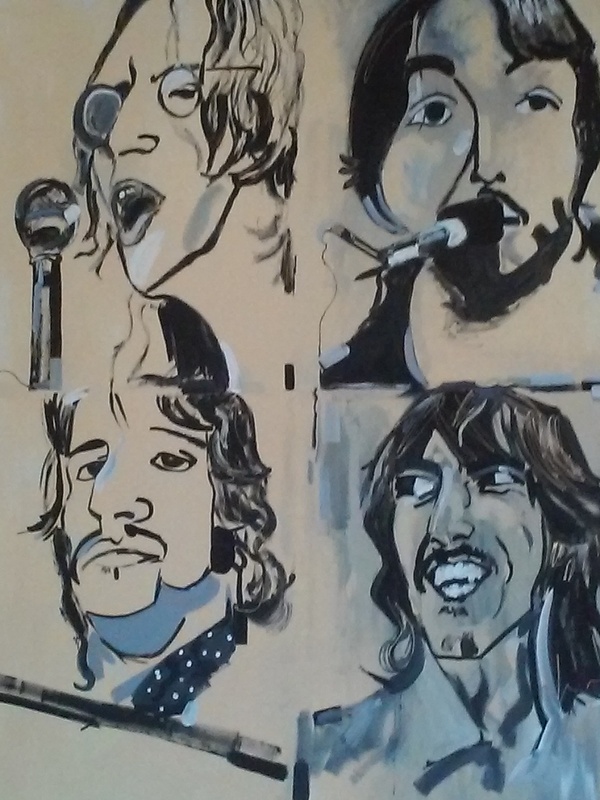 This entry was posted in art, Coffee shops in San Diego, music and tagged music, scones, South Park. Bookmark the permalink.